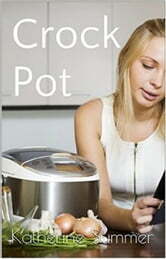 In this book you will find the secrets of making wonderfully low fat food using your slow cooker. You will learn how to prepare nutritious and easy meals that will please even the pickiest of eaters. These are not your usual run of the mill diet meals. The recipes are packed full of flavour and delicious ideas to help you along on your weightless journey. No more bland diet meals that leaving you feeling hungry and unsatisfied. You will find a vast array of weight loss tips as well as nutrition tricks. A divine compilation of breakfasts, lunches and dinners to help you easily achieve your weightless goals. We guarantee that you will not go hungry with these scrumptious servings. Whether you are a single soul trying to shed some pounds for your bikini vacation, or a concerned mom looking after the needs of her family, everyone will find a delicious recipe to perfectly suit their needs. We understand that weight loss is challenging, it is not something that happens overnight. This book is not a quick fix. It is one step in a life and mind changing direction. So allow us to help you on your way to a slimmer, healthier you.